Jahi McMath is alive in New Jersey. A death certificate was issued on Jahi on December 12, 2013. Now, four years later a judge in California has ruled that Jahi may not be dead. Think about it, alive, living in New Jersey! Why is it necessary for a judge to rule whether Jahi is alive or dead? The judge is acting in accord with the law in California and the practice of medicine since "brain death," while scientifically and medically still controversial, is legally protected. Neither the CA statute nor the practice of medicine ought to be significantly different in any other state in recognizing the basic difference between a living person with a beating heart and circulation albeit on a ventilator vs. the remains of a dead body. What is the "problem"? There is no problem in New Jersey because although alone among the 50 states, New Jersey law rightly recognizes that the person cannot be declared "brain dead" if the family objects to the doctors using ONLY "brain death" criteria, and not the time-honored, universally recognized irreversible cessation of circulation and respiration. What is the problem? States like Nevada have by law now made use of one set of "brain death" criteria a requirement. In Nevada the doctors will declare "brain death" without your permission, as if use of these criteria are universally accepted. They are not. Let's say you want to give your loved one more time to heal, to be transferred to home or a nursing care facility willing to take care of a disabled person. Reasonable? Your decision? Now with the new "brain death" law in Nevada, Jahi would not have made it out of the hospital to New Jersey or anywhere else to live. Life-sustaining treatment will be withdrawn when the doctor declares "brain death" or the patient's estate and family may be held financially responsible for continuing what the law considers as only "organ-sustaining" treatment, the words "life-sustaining" having been crossed out. The declaration of "brain death" including the use of the risky, harmful, apnea test procedure may be done explicitly without consent. 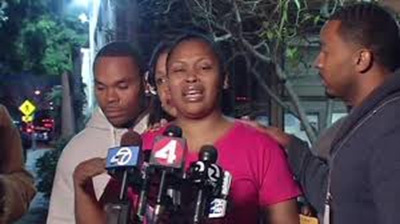 All that was necessary to know that Jahi was alive in California when she was declared "brain-dead" by doctors at Children's Hospital Oakland was to go to see her in the hospital. I did. Jahi was alive but she was referred to as a "dead body." In California Jahi had a beating heart with circulation and respiration, which continue to this day. Jahi's heart beats 100,000 times a day without any medication or pacemaker. Jahi is on a ventilator that pushes air into Jahi's air passages. The ventilator only pushes the air into her air passages. The living Jahi does everything else to maintain the normal amounts of oxygen and carbon dioxide throughout her cells, tissues and organs. The living Jahi stores energy to exhale the carbon dioxide. This happens in Jahi, you and me with every breath. Would it not be apparent to the judge that Jahi is not a dead body, not a cadaver, if he visited Jahi? Jahi McMath had a tonsillectomy and other procedures on her pharynx on Dec 9, 2013. Postoperatively, Jahi stopped breathing and cardiopulmonary resuscitation (CPR) was administered. Within hours the doctors made a declaration of "brain death." Knowing that her daughter's heart was beating and sustaining circulation along with needing the ventilator to push air in, Jahi's mother, Nailah Winkfield, objected to the declaration of death. The ventilator pushes air in, air that we all need for life, but it does not and cannot make the heart beat. We are grateful to the Court in California in 2013 for stopping further actions that would have ended Jahi's life. Without Jahi's mother and her attorney fighting for and receiving judicial intervention, Jahi's life support would have been removed, she would have been buried, and the uncomfortable truth about "brain death" deceptions would have been kept further hidden from the public and many physicians worldwide. "Brain death" is a lie, a mendacity. If anything is "fake" in modern times, it is "brain death." It is important to understand that Jahi was never truly dead in California and that treatment was given in New Jersey that had been denied at Oakland Children's Hospital. This treatment included thyroid hormone replacement, tracheostomy and proper nutrition via a feeding tube. Jahi had been starved for 30 days in the hospital in California. Now almost 4 years later a judge in California presumably without seeing Jahi, will hear testimony to show that Jahi is indeed alive in New Jersey. What would Jahi's outcome had been if the Children's Hospital Oakland doctors had given these treatments sooner rather than rushing to declare her "brain dead"? Jahi's mother even had to sign off on a death certificate in California in order to get her Jahi the care she needed in New Jersey. All the mother wanted was to have the doctors and hospital in California take care of Jahi, even if she were to be disabled, not to give up on her as "dead" after she refused to let them take her organs. Not only did the Children's Hospital Oakland doctors deny Jahi common treatments with potential benefit, they did the "brain death" apnea test procedure 3 times! This procedure, if consent is even sought, is touted as "safe" especially if the average person hears the nurse tell them, "don't worry, we give oxygen as part of the procedure." What you may not be told is that this "acid test" for "brain death" really does intend to let the person endure suffocation for 10 minutes or longer, because off the ventilator the acid waste product carbon dioxide increases to levels that supposedly will result in the patient taking a breath if capable. If they can't, they are declared "brain dead," which is the signal to have the heart and other vital organs removed or life-supporting treatments stopped. The "brain death" apnea test procedure will do nothing to benefit the patient but only risk harm and death. Jahi endured the apnea test procedure three times. The main point is that even though Jahi couldn't take a breath then and may still not be able to do so, she was and still is alive with a beating heart and circulation. The same is true for all, repeat all, other "brain dead" patients. They all are really alive, even if needing a ventilator to push air in. Disseminating truthful, factual information about the mendacity of "brain death" and fostering improved treatments of unconscious persons may save several thousands of persons who are currently regarded as "potential organ donors," not just to disabled lives, but to productive, even normal lives. The issue under consideration has implications not only for Jahi McMath's right to life but also for many other patients who have lost consciousness and do not take a breath when the ventilator is removed. Jahi was eventually given replacement of hormones after transfer to New Jersey, although not immediately after suffering lack of oxygen to her brain when her heart and lungs stopped. Jahi's brain did produce some of the hormones needed, but not enough for the thyroid gland to make enough thyroid hormone to prevent further swelling of the brain or for the brain to show signs of consciousness. The doctors declared her "brain dead" and when Jahi's mother did not grant permission to take Jahi's organs, the doctors wanted to stop the ventilator. The judge prevented the hospital doctors from stopping the ventilator and gave the mother more time to find doctors who would take care of Jahi and give her more time to live and heal. Jahi was transferred to New Jersey more than 3 weeks after the death certificate was issued in California. Until nutrition was provided through the feeding tube placed in the New Jersey hospital it is possible that her neurological recovery had been further impaired by a prolonged period (about 30 days) of starvation at Children's Hospital Oakland. Yes, Jahi was starved for 30 days. Jahi is still on a ventilator and feeding tube that support her life. Jahi must remain in New Jersey precisely because of that death certificate in California. The determination of death based on neurological criteria ("brain death") requires the claimed demonstration of "irreversible cessation of all functions of the entire brain, including the brain stem" ("whole brain death"). In practical grounds, such situation is reasoned to occur when all brain blood vessels (arteries, capillaries and veins) are fully or near fully compressed by maximally or near maximally increased intracranial pressure (ICP – defined as the pressure within the intracranial space where the brain is confined). Increased ICP, in turn, is usually the result of a purportedly "intractable" brain edema during the acute phase of brain damage. In other words, ICP increases when the brain volume expands within the inelastic bony cranial vault. In Jahi, increased ICP was associated with lack of oxygen to her brain after the loss of blood post surgery. Expansion of brain volume (brain edema) is caused by the infiltration and accumulation of excess circulatory fluids within the brain, in a similar way to what happens to an ankle that swells in minutes or over several hours after sprain. Jahi McMath met those diagnostic criteria according to current medical standards in December 2013, when she was declared "brain dead" by three physicians of Children's Hospital Oakland, and ultimately by the chief of child neurology at Stanford University School of Medicine appointed by the Court to act as an independent examiner. Currently accepted diagnostic criteria for "brain death" were meticulously verified and recorded by the consultant while Jahi McMath was still in Children's Hospital Oakland. Back then, the consultant affirmed that a brain blood flow study had shown "no cerebral blood flow." "Brain dead" declarations are based on the doctor's inability to detect functioning of the brain which is presumed to be irreversible. Yet, ten months after being declared "brain dead," Jahi McMath began menses. Jahi controls her own body temperature. These physiological activities could only occur with a functioning brain. Accordingly, recent imaging techniques, in contrast to the earlier brain blood flow studies in California, demonstrate much of Jahi's brain structure is largely preserved. This could only be with blood flow to her brain. Recent video recordings suggest that Jahi McMath is not even in coma, but possibly in a level of preserved consciousness that allows at least understanding of simple requests from close relatives (particularly her mother). She seems only able to respond by moving her foot and arm, and with a delay consistent with extreme efforts to achieve those responses. How can one possibly explain Jahi McMath's ongoing outcome – which indisputably excludes the absence of cerebral blood flow back in December 2013? 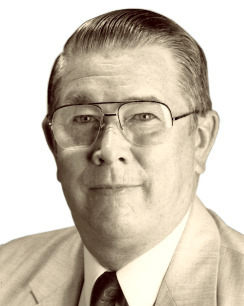 Like all physicians who declare "brain death" according to current diagnostic criteria, the consultant failed to recognize the difference between "no signs of cerebral blood flow" and "no cerebral blood flow." Actually, Jahi McMath had no signs of cerebral blood flow on the image technique(s) performed at Children's Hospital Oakland but her cerebral blood flow was nevertheless present and sufficient to preserve the vitality of her nervous tissue, although (at that time) insufficient for production of enough neural energy that would allow the demonstration of motor responses on neurological (physical) examination, visible brain waves on the electroencephalogram and images of cerebral vessels. This condition has been called "global ischemic penumbra" (Coimbra; Braz J Med Biol Res. 1999; 32:1479-87). By declaring (his statement of October 6, 2014, item #12) to the Court that "Menarche and menstrual cycles are not relevant to determination of brain death" the consultant fails to recognize that these physiological activities could only occur under the control of the brain. However, resumption of any brain function (including control of menstrual cycles) would be impossible if Jahi McMath had "no cerebral blood flow" as the consultant himself wrote in his assessment of December 23rd 2013. In other words, if those cerebral regions had no blood supply by December 23, 2013 they would have been destroyed by then, and could not resume their activity later on. Jahi McMath's brain according to MRI imaging is not completely destroyed as would be the case 3 years after the declaration of "brain death" by three qualified physicians and a Court appointed consultant if there had been truly no circulation to her brain. Jahi's outcome evidences the limited sensitivity of those tests in demonstrating absence of brain circulation to confirm the diagnosis of irreversible damage of the whole brain ("brain death"). The percentage of "potential organ donors" that are actually progressing to "global ischemic penumbra" but could be neurologically recovered (if their decreased production of thyroid hormone was therapeutically compensated by administration of thyroid hormone) is unknown. Likewise, the percentage of "brain dead" patients that are actually in "global ischemic penumbra" but could be neurologically recovered (if duly treated with thyroid hormone replacement) is also unknown. Thyroid hormone production by the thyroid gland can only occur under brain stimulation. As brain edema progresses and brain circulation is restricted by the consequential increase in ICP in "potential organ donors," the thyroid gland gradually reduces the production of thyroid hormones. Not enough thyroid hormone worsens brain edema (a condition known as brain myxedema). A vicious cycle is set in which brain edema causes reduced thyroid hormone synthesis – which, in turn, worsens brain edema. In other words, a severely sick brain leads to a sick thyroid gland that worsens brain sickness. At some point the patient is in "global ischemic penumbra" and mistakenly diagnosed as "brain dead." 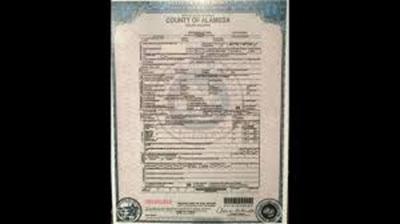 That was Jahi McMath's real condition when she left the State of California with a death certificate issued by the Alameda County coroner. Only administration of thyroid hormone could discontinue such a vicious cycle. Jahi McMath has been rescued from "brain death" by receiving thyroid hormones in the New Jersey hospital where she was admitted. The court appointed consultant demands another "apnea test" procedure to assess vitality of respiratory centers in Jahi McMath's brain. 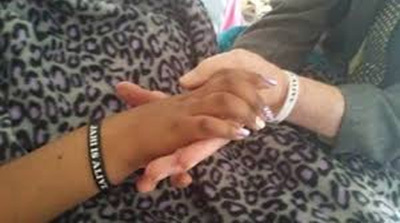 By declaring (his statement of October 6, 2014) to the Court that another apnea test could not harm Jahi McMath, the neurological consultant – who left her without mechanical ventilator support for nine minutes on December 23rd 2014 – fails to recognize the existence of multiple reports published on "complications" of apnea test procedure (most of which is caused by the induced abrupt rise of carbon dioxide concentration in blood whose exhalation is withheld during the test) including irreversible cardiac arrest (death) despite all preventive measures taken. The whole list of "complications" also includes cardiac infarction, cardiac arrhythmias, pulmonary hypertension, pneumothorax and subcutaneous emphysema. Actually, it is not really necessary to be an expert to perceive how dangerous no breathing (asphyxia) for 9 minutes could be, particularly to a defenseless patient with impaired brain circulation. As happened to Jahi's mother, Nailah Winkfield (in each of the three consecutive "brain death" evaluations) no relative or guardian was informed about the risk of the procedure of an apnea test or asked to sign a written consent. Major impairment of thyroid hormone production (severe hypothyroidism) is a lethal disorder when the affected patient (even a person with no brain damage) is left without thyroid hormone replacement – adjusted according to results of laboratory tests. 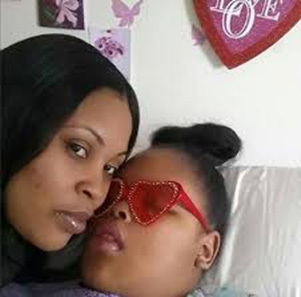 Just as it happened with Jahi McMath when she was in Children's Hospital Oakland, this disorder has been consistently left untreated in victims of severe brain damage who have been regarded as "potential organ donors" while their clinical and neurological condition progressively deteriorates (including gradual loss of spontaneous breathing). Two different research groups (Woolf et al. Am J Med. 1988; 84:201-8 and Chiolero et al. Acta Endocrinol Copenh 1988, 117:80–6) reported a correlation between neurologic deterioration and severity of hypothyroidism in victims of severe brain damage in 1988, and a more recent report (Olivecrona et al. Scand J Trauma Resusc Emerg Med. 2013 21:33 http://www.sjtrem.com/content/21/1/33) provided similar results. Such a passive attitude contradicts The Second Principle of Medical Ethics (commonly known as "Principle of Beneficence"), which obliges medical practitioners to attempt achieving maximum therapeutic benefit for their patients. Although the importance of thyroid hormones for brain control of respiratory movements has been a part of solid medical knowledge for several decades, the neurologist consultant failed to recognize that insufficient or discontinuous supply of thyroid hormones to respiratory centers in the brain would impair Jahi McMath's response to apnea without implying loss of vitality of those centers. "... the moral implications of performing a potentially dangerous diagnostic test with no therapeutic implications for the patient..." "The legal, ethical, and religious implications of our study await the analysis of experts in these fields." The procedure of the apnea test is out of line with The First Principle of Medical Ethics (commonly known as "Principle of Nonmaleficence" or "primum non nocere"): "above all do no harm." 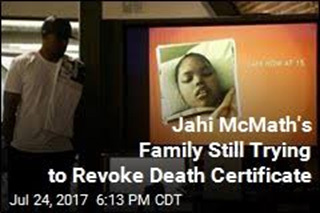 Jahi McMath was certified dead based on neurological diagnostic criteria accepted (for many years) by the law as reliable and sufficient for that purpose. Death is a permanent, not a temporary, state. Jahi is no longer in the state she was in when pronounced dead on those grounds. The state she was in when diagnosed dead on those criteria has not proved permanent. No longer are the criteria for "brain death" fulfilled. Jahi is not "brain dead"; Jahi is alive as she has been her entire life. She is showing signs of recovery from the state she was in when certified dead. That state having not proved permanent, it is evident that the diagnostic criteria used to certify it have proved unreliable and unfit for the purposes of taking organs, embalming or burial. Another apnea test (as proposed by the neurological consultant) may result in cardiac arrest or aggravated brain damage, thereby rendering further attempts to induce recovery though the adoption of novel approaches useless. Furthermore, one must consider the possibility that Jahi McMath may be even conscious although imprisoned in a condition with very limited capability to move in response to her mother's verbal commands. That being so, submitting her to ten minutes of deprivation of mechanical respiratory assistance (as it was already done 3 times) would be an act of unacceptable cruelty. Overturning her death certificate would enable those attempts of inducing further neurological recovery which, if at least partially successful in demonstrating consciousness and resumption of spontaneous breathing, would be an inestimable legacy to humanity – unveiling a therapeutic approach capable of saving normal or near normal (productive) life of perhaps thousands of human beings who are annually wrongly regarded as dying or dead worldwide to get organs. Jahi McMath no longer fulfills criteria for declaration of "brain death." Jahi is alive and has always been alive. Jahi is not a resurrection. Jahi, at the time she was determined to be "brain death" had a beating heart with circulation and respiration. Jahi was never dead!